How Long Does It Take to Get Results From Taking Coconut Oil to Lose Weight? W. Greg Miller has completed his Associate of Arts in engineering and developed software programs. Miller completed more than 6,000 hours of research on emphysema leading to the reversal of his mother's emphysema and his first book. His second book focused on weight loss. A third book will focus on optimal health. Coconut oil may provide you with a fast, healthy method of losing weight that does not require dangerous medications or expensive diet programs. 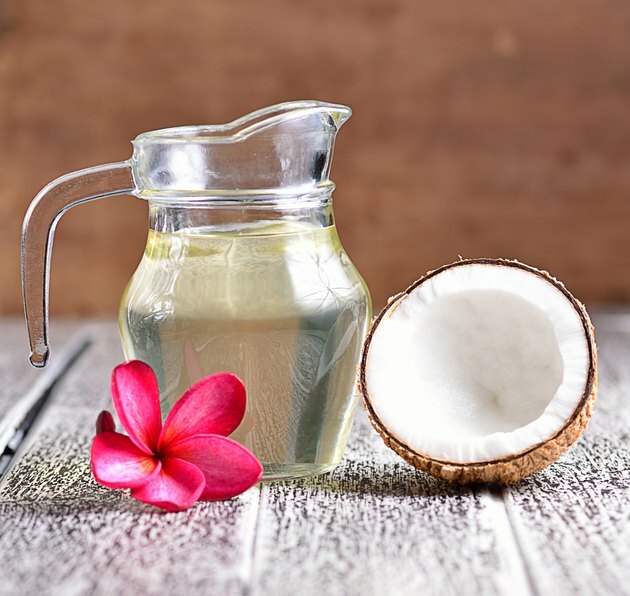 If you are already cutting back on fattening foods and incorporating exercise into your daily routine, coconut oil may provide that extra help you need for lasting weight-loss success. Coconut oil is made up primarily of medium chain fatty acids or triglycerides which the body can readily break down and burn for energy which in turn increases metabolism. This thermogenic effect results in your body burning calories and you losing weight. 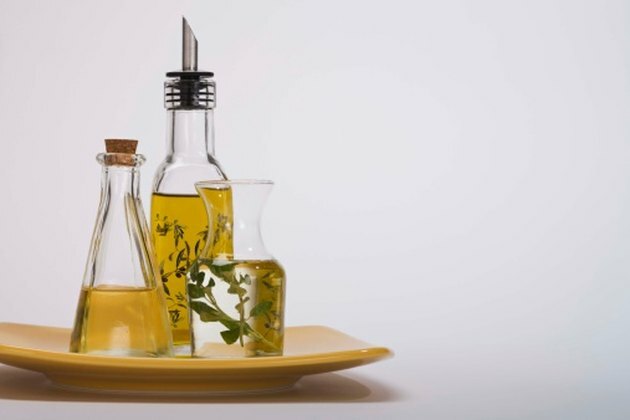 Your body has a more difficult time metabolizing long-chain fatty acids found in polyunsaturated oils like those more commonly used for cooking. Your body generally stores these long-chain fatty acids as fat because of the difficulty it has in breaking them down or metabolizing them. Proponents of coconut oil diets recommend utilizing the coconut oil for cooking throughout the day instead of the long-chain polyunsaturated oils generally used. Natural News suggests, "If you've never taken coconut oil before, start with one teaspoon a day and slowly work up to three to six tablespoons per day. This will help your body adjust to the beneficial effects of coconut oil." They further recommend using the unrefined organic, extra virgin coconut oil since it "preserves all the natural goodness of the oil." The speed at which you lose weight by adding coconut oil will depend on many factors including your current height and weight and percentage of body fat as well as your daily level of activity and the other foods you eat throughout the day. Incorporating coconut oil into your diet slows down the digestion of your food resulting in a satisfied or full feeling and may even reduce your desire for snacks between meals. Some studies have reported thermogenic effects of coconut oil diets substantially increasing metabolism with the effects lasting as long as one full day. Caprylic acid, a component of coconut oil is a known anti-fungal that destroys Candida, a yeast-like fungus that may cause weight gain and cravings for carbohydrates. Mayo Clinic warns, "keep in mind that coconut oil actually has more saturated fat than do butter and lard." Yet Kristen Michaelis, a nutrition and wellness coach at the Food Renegade, retorts, "In America’s recent past, coconut oil got an undeserved bad name. Because it’s high in saturated fats, and they were unjustly demonized. Cutting-edge research has pretty much shredded most of The Lipid Hypothesis--the theory that there is a direct correlation between saturated fat and cholesterol intake in the diet with incidence of coronary heart disease." Her opinion is reiterated by Dr. Uffe Ravnskov MD, PhD, in his book, "The Cholesterol Myths: The Fallacy That Saturated Fat and Cholesterol Cause Heart Disease." MayoClinic.com: Can coconut oil help me lose weight?